I swear our next woodworking project might have to be to build an Arc. Seriously. What is it with weekends and rain. And this time of year it is most days in between as well. The good news is the lawn is greening up nicely, the bad news is we are getting closer to mowing season. Oh well, there are plenty of projects to keep us busy indoors. I think we have turned the corner into spring, finally. The temperatures are rising and it’s the perfect time to work outdoors. We spent another afternoon chipping alders at the first location, across the lake. This time the wind worked in our favour and all the chips fell where they were intended to fall. Not on the neighbours driveway like last week. So we still had to do a final cleanup. Tasked to clean up wood chips on driveway. 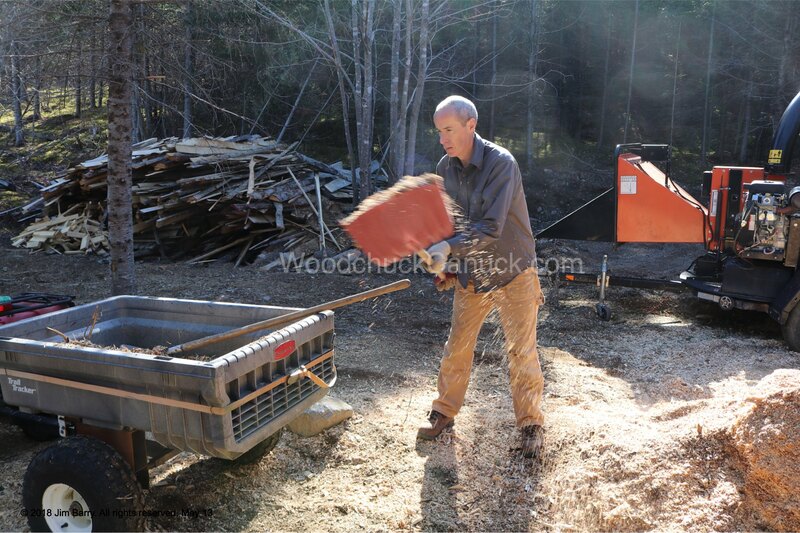 Last weekend we had wood chipper issues but since then we bought a new belt (plus a spare) and were up and running again. This particular afternoon was cloudy with a chance of rain so we thought we had better take advantage of it. 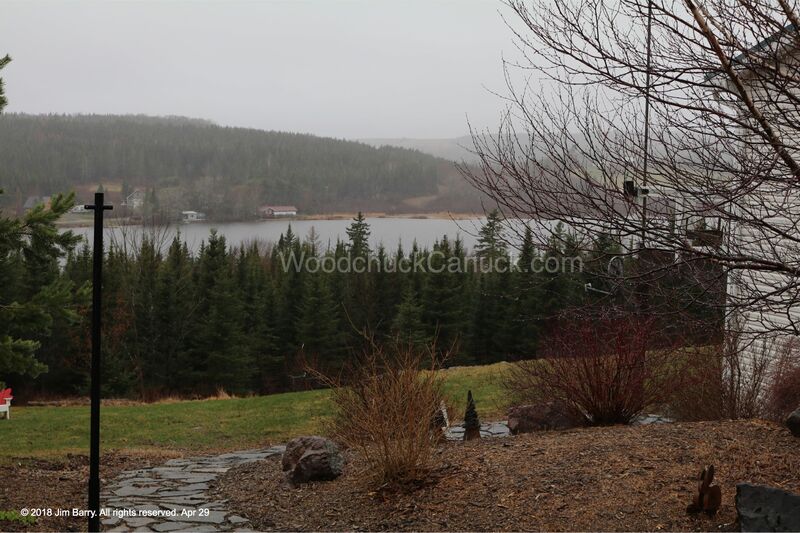 The landowner has a beautiful location for a cottage, right on the lake. This picture was taken last Saturday when we first arrived at the site. A tangled mess of alder!